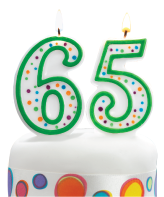 Three months before you turn 65, you’ll be eligible to enroll in a Medicare Supplement or Medicare Advantage program. As with virtually any government program, details and requirements can be more than a little confusing. That’s why we’re here—to help you sort out what plan is best for your individual circumstances. We’ve been around this block many times. • Can I keep my own doctor? • What about my prescriptions? • How much does original Medicare cover? • Does it matter if I have a pre-existing condition? • How do I find answers from someone I trust? Let our Medicare specialists assist you in choosing a plan that fits your individual needs. Call Christine Kuiken or Mike Anama at (616) 949-4250, or email to insurance@lmcu.org to schedule an appointment.